Anyone who follows me knows I am working on building (15) focused relationships with certain outstanding Leaders this year. (Here is a link to that post just in case you didn't know that already.) Keep in mind I'm not only working on building a relationship with these leaders I am also trying to work with them in someway to bring value not only to them but also to their communities. 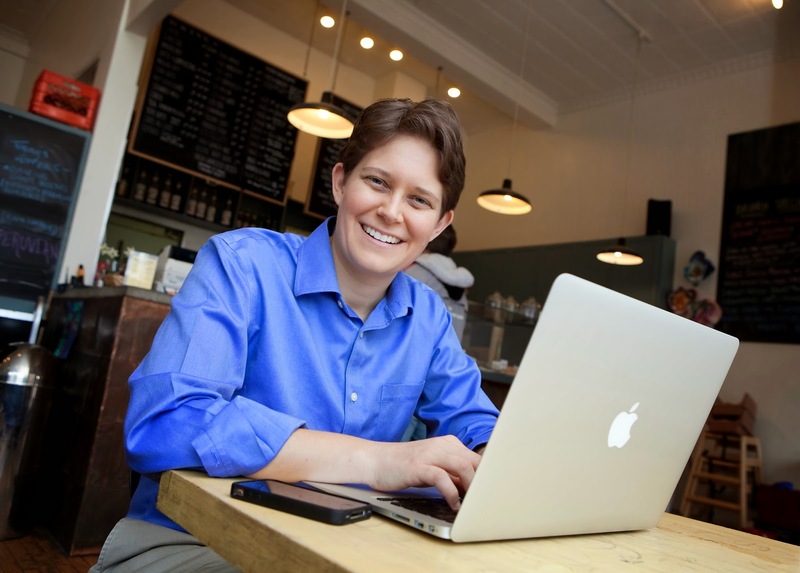 One of those great leaders is Dorie Clark. So let's back track really quickly for just a minute. It's the end of 2014 and I am working on an idea I had (Thank You to James Altucher for teaching me the value and power of an "Idea". I will always be indebted to James for that.) on getting to know (10) new Leaders in 2015. 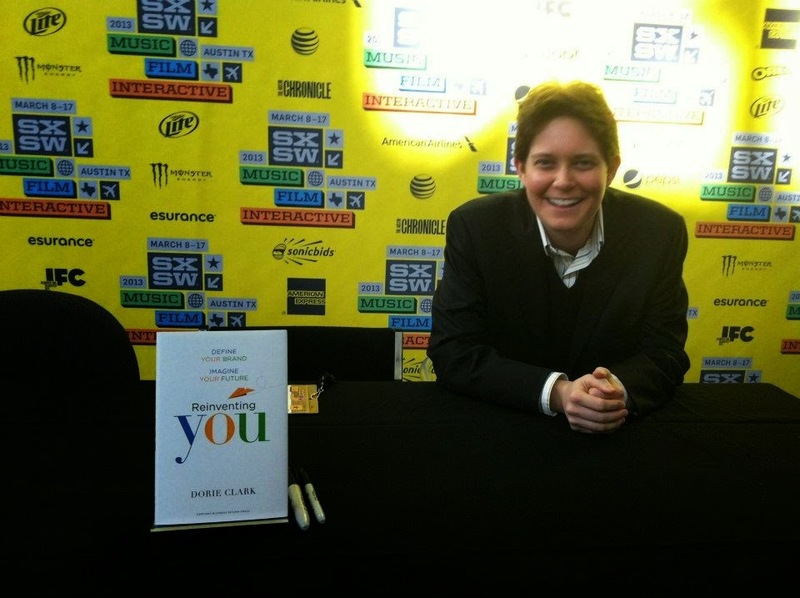 So I started doing some reading, researching, and watching my social media channels to see who I thought were some Leaders I needed to know to make my life better, and Dorie Clark's name kept coming up. I'm not the kind of person who has to be smacked in the face to many times with something before I get the point so I knew Dorie needed to be on my list. So I took a leap of faith and reached out to Dorie on Twitter..... And you know what happened... She actually responded to me. (I know you hear these stories all of the time about how no one ever answers anyone on Social Media, well I'm here to tell you that isn't true all of the time.) She responded to me and we have been building a strong relationship ever since. So besides her bio (which I know you already have read from the link I provided you earlier.) and her many great accomplishments let me know tell you about the Dorie I've come to know since we've started building a relationship. Dorie is a very kind, intelligent, thoughtful, and caring person. Not only for taking a chance on me, but also I've seen it in the way she treats those who she teaches and helps through her business. She is tireless in her pursuit of knowledge, and in her passion to teach others the things she knows. She is always willing to help anyone make their lives and their businesses better with her knowledge. I know she is very busy with her business, her writing, her speaking engagements, and her consulting but she always takes time out to respond and to help anyway she can. In this day and age that is a very rare quality. "Thank You" Dorie. I could go on and on about Dorie and all of the good she is doing in the world today, but I know at the start of this post I promised you I wouldn't make this pages and pages so let me end this post with a few last thoughts, a "Thank You" to Dorie, links to some of my favorite things Dorie has done, and the ways you to can contact Dorie. She is a great Leader in the fields of Marketing and Leadership. She will answer you if you reach out to her. Last but not least she truly does care about people. Dorie I just wanted to say "Thank You" for responding to me and for allowing me to start building a relationship with you. My life and business are better by having you in them. Your knowledge in the areas of Marketing, Business, and Leadership are amazing. Thank You for always taking the time to share your knowledge with me, and most of all "Thank You" for being "You". A step by step guide to "Reinventing You". Whether you want to reinvent your life or your career this is a great book and Dorie will show you how to get it done. A guide to becoming a recognized "Expert" in your field. Dorie speaking at Google's Mountain View, CA headquarters. Recent picture of Dorie at SXSW.